Yeah, fine, so Drudge gets lots of traffic for links, but we’re not Drudge, so it won’t work for our news site, right? Wrong. 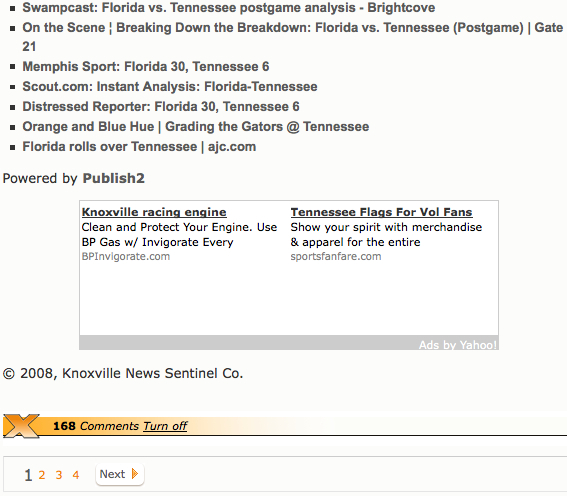 Here’s a case example from Knoxnews.com’s sports site GoVolsXtra.com. 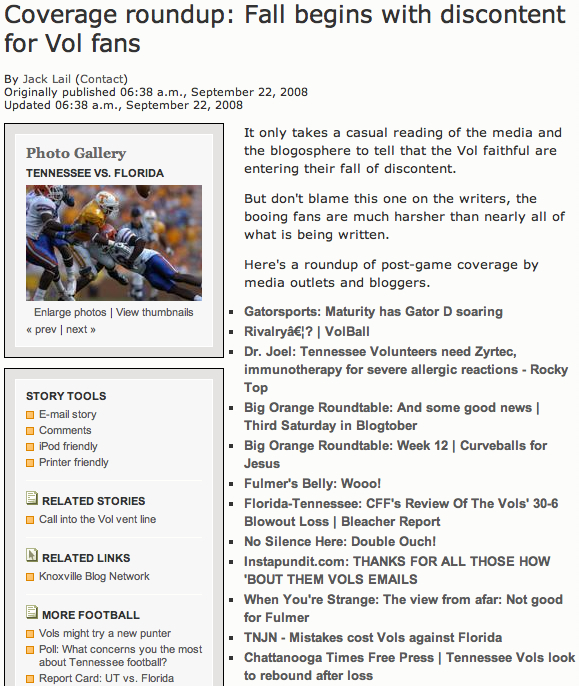 This roundup of links to coverage and commentary on the Vols’ loss to Florida was the MOST VIEWED article today on GoVolsXtra.com. You could explain the page view count in one of two ways (or both). First, lots of fans like these roundups, and seek them out when they appear as a story on the homepage. Or, people clicked on a link, then came back for more, generating more page views. Well, last time I looked there were 168 comments! 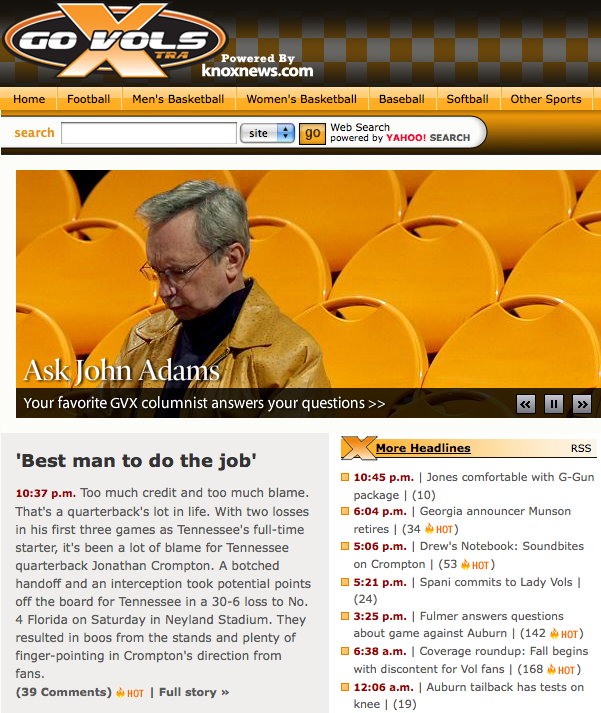 By rounding up all of the coverage from around the web using LINKS, Knoxnews created a DESTINATION for fans to discuss the game. 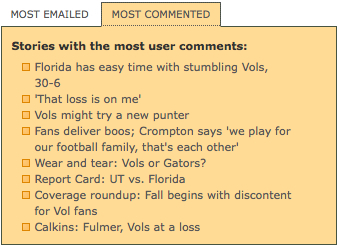 And not just that… GoVolsXtra had more comments than any of the other sites the roundup articled linked to (combined, it appears). And you’re not doing it… why?